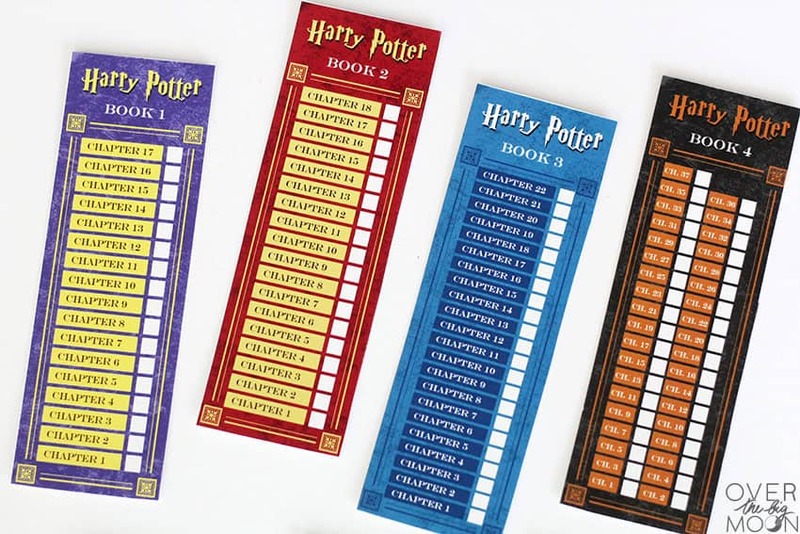 These Harry Potter Printable Bookmarks are the perfect way to help track your progress as you read all the Harry Potter books! 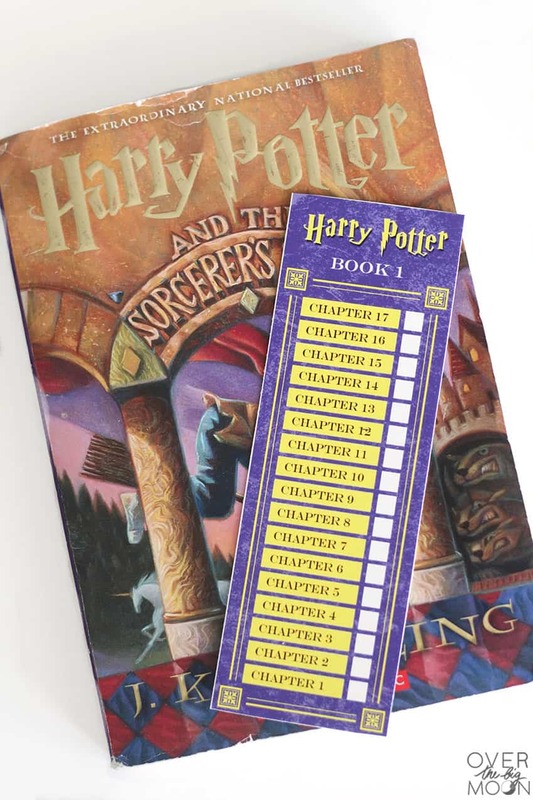 The reader can easily mark off each chapter as it’s finished! Happy Friday friends! 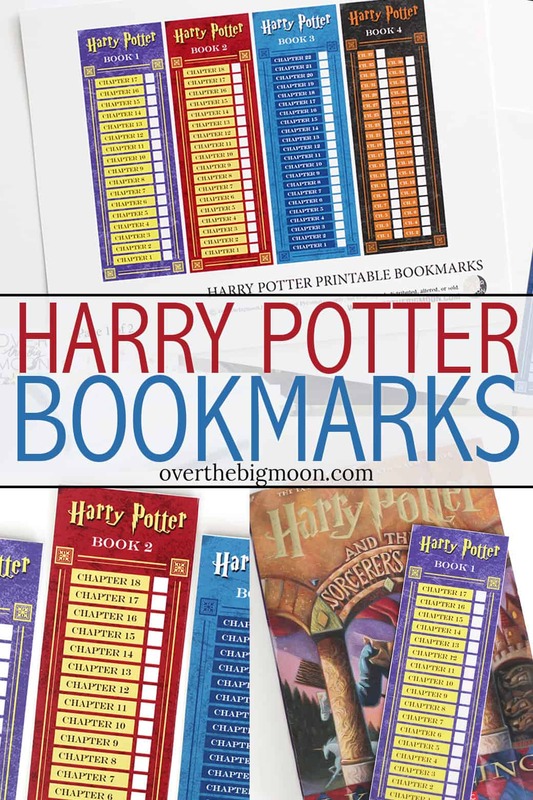 I am really excited to share these fun Harry Potter Bookmarks with you today! 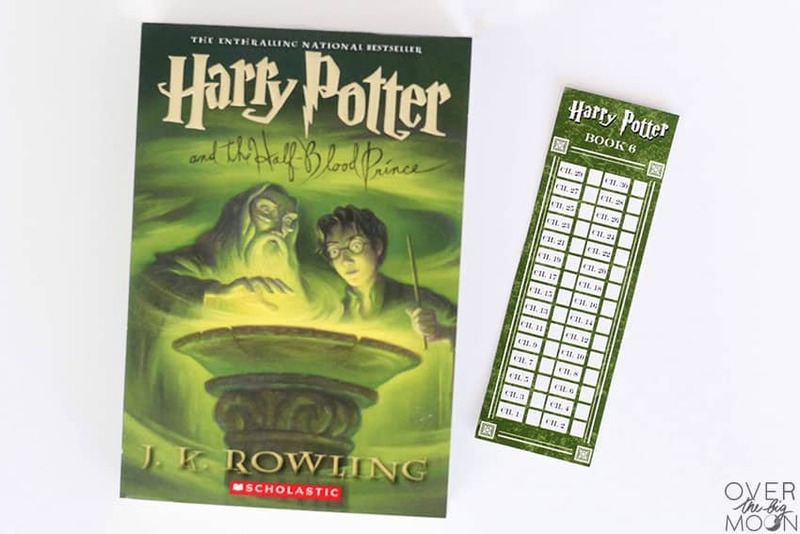 My oldest is starting to read the Harry Potter series over again and I thought it would be fun to give him a way to track his progress as he reads them! We all know that the books are big and that can be a bit intimidating for young readers! I am hoping the bookmarks will help keep kids motivated, so they can push through and finish the books when they’re feeling a little overwhelmed! 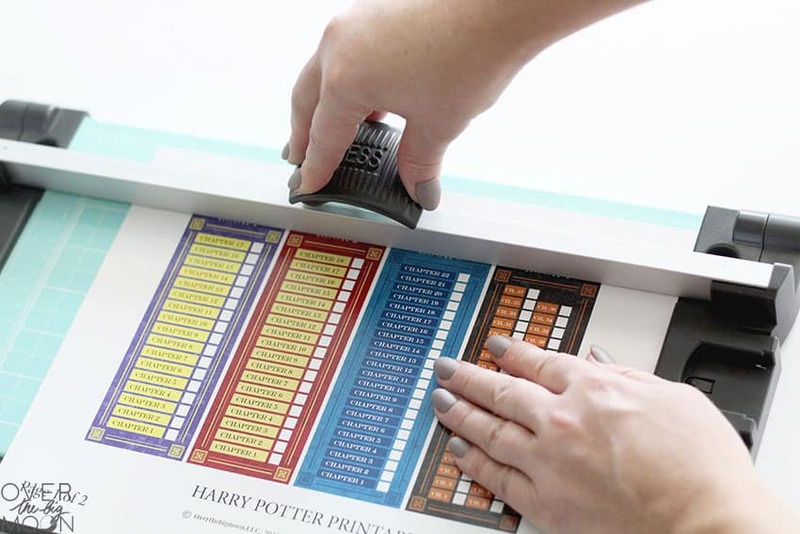 If you haven’t already purchased the Harry Potter Box Set, then the first thing you need to do is click here and go buy it! I recommend the paperback for kids, so that is what I have linked! I have a strong belief that every home should have this box set in it! If you have younger kids, I also would recommend buying the illustrated books to read to them – Book 1, Book 2 and Book 3. This is what we started on and I can’t say enough about how good the illustrations are. and of course the Harry Potter Series! haha! To start, you’ll need to download the 2-page PDF of all 7 of the bookmarks below! Once downloaded, print the 2 page PDF onto a thick card stock using your colored printer! If you don’t have a colored printer, then you’ll need to ask a friend to print them for you. Most printing stores won’t print them, because of the Harry Potter font that I used and the copyright of the Harry Potter name. 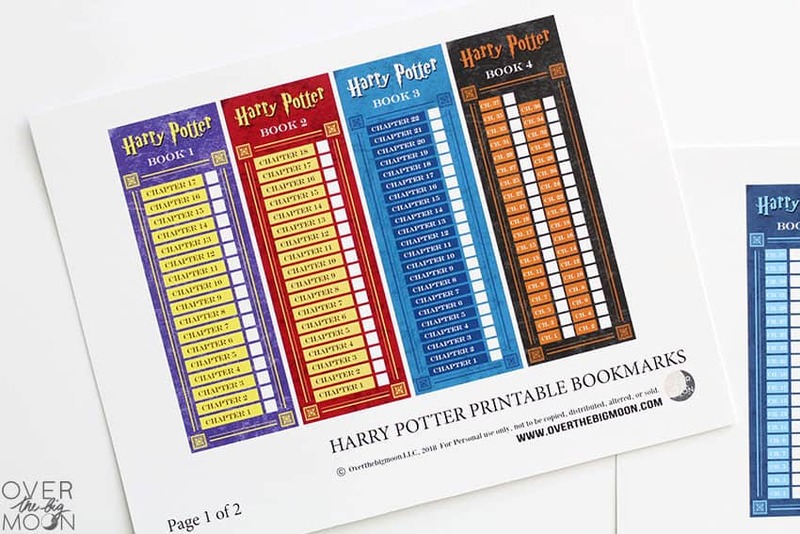 Once printed, used some scissors or a paper trimmer to cut out all your Harry Potter Bookmarks! My kids plan on using a black sharpie to fill in the boxes as they finish each chapter! My friend is planning on laminating her kids after she cuts them out and then using a hole punch to punch out the finished chapters! I think they turned out pretty fun and my boys, plus a bunch of the neighborhood kids are so excited to use them!! 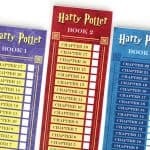 Harry Potter is a must read for all kids and these Harry Potter bookmarks are the perfect thing to go along with them! Click the link below to download the 2-page PDF with the bookmarks! 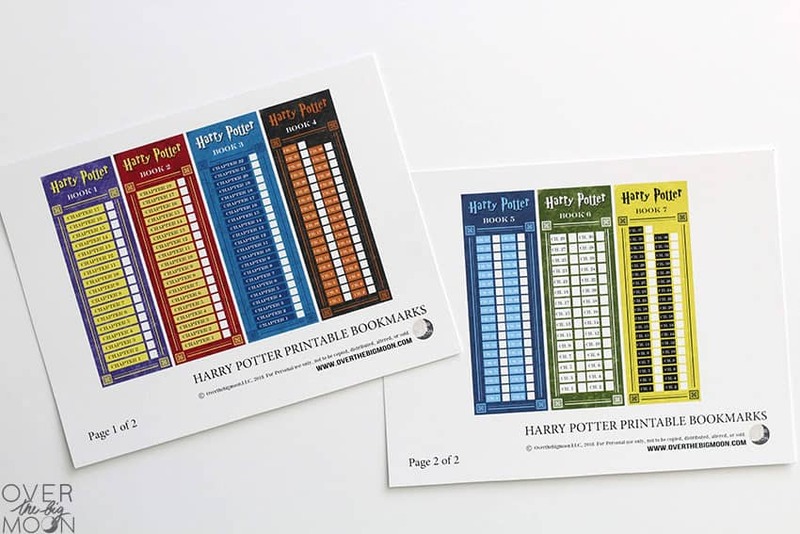 If you love Harry Potter, make sure to check these other free Harry Potter Printables! 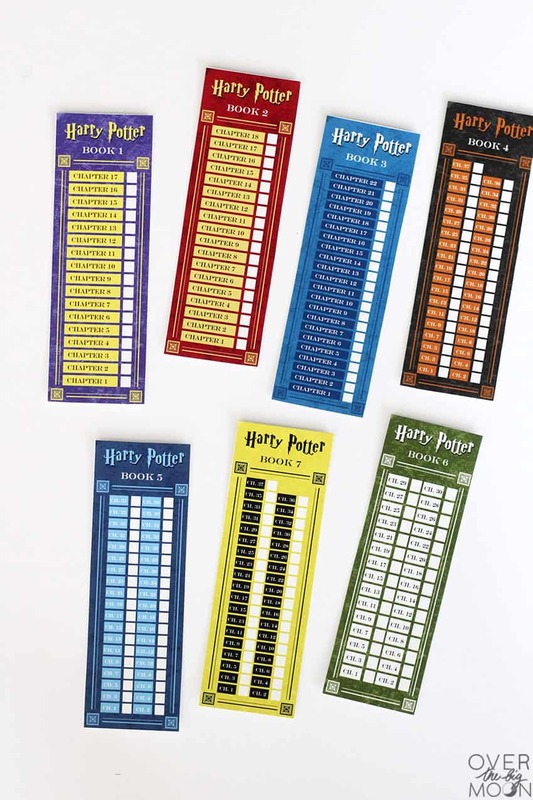 If you love these Harry Potter Bookmarks for kids, then I’d love it if you pinned the image below! 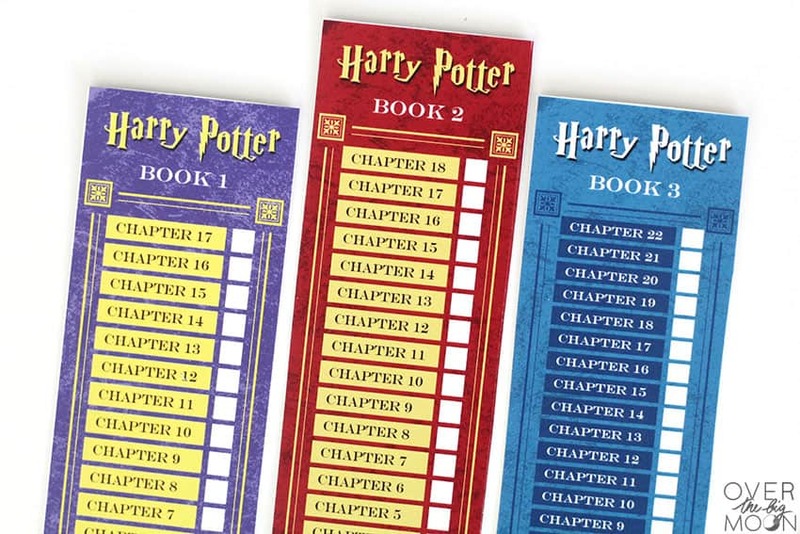 I’m sharing these fun bookmarks as part of Marissa at Rae Gun’s annual Harry Potter series! This year is in celebration of the upcoming movie Fantastic Beasts: The Crimes of Grindewald. And be sure to check out all the Harry Potter projects from past years and find all the new Happy Harry Potter creations from this year here, the post is updated daily! Of course! Glad you love them!